Last December I went to Milan because, why not? I found a cheap flight on BA for a long weekend and an even cheaper Air BnB. Milan had been one of those European cities I always wanted to visit but just never got around to it until now. If you’ve been a following my blog for a bit, you would realise that I have a soft spot for Italy, here, here and here. Anyways, one of the biggest draws to visiting Milan is the Duomo. The Cathedral took only 6 centuries to complete and is in one of Milan’s most famous locations. So on today’s post, I’m sharing some easy tips to visit Duomo di Milano. It does not seem to matter what time of year you go to Milan, there will always be a crowd to visit this amazing landmark. However, don’t let that deter you. What I would suggest is to get there either early in the morning or, 1.5 hours before closing time. I went online and downloaded an app called Tiqets which you can use to purchase tickets to skip the queue. I purchased the Rooftop and Museum ticket. The best part was that when I got there too late to use it, it was still valid for the next day! Check the weather. I know its so simple but often forgotten. This is most important if you want to visit the rooftop and having been up there, it will be no fun raining! I was fortunate that the weather, although cold was sunny and bright. My final tip is a fashion related one and that’s, wear comfy shoes. The Duomo is a massive place with a lot of ground to cover. There’s nothing worse than having cute yet, painful shoes ruin your visit. 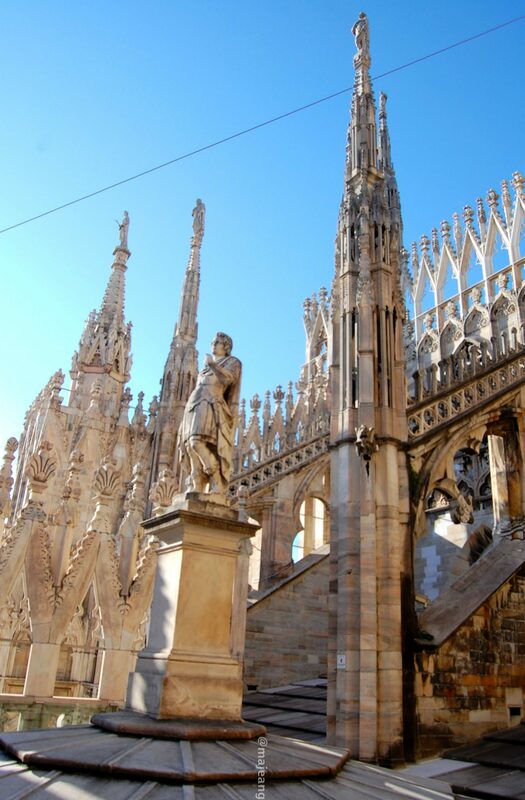 Have you been to the Duomo di Milano? What are your tips? Please share in the comments below. As always, thank you for reading and commenting. Remember I do travel posts on Thursdays, so come back next week or subscribe so you don’t miss any.